The CUBEs patented technology uses circulating water to maintain vital constant temperature in the wine room. Its three components are designed to be inside the home. The fastest way to ruin a bottle of wine is to store it at the wrong temperature. While this is common sense for all serious wine collectors, figuring out the best system to maintain your desired constant temperatures in your wine rooms, even in the brutal Texas summer months, has been a challenge. That is until Jost Lunstroth, of NCV Custom Wine Rooms in Houston, discovered The CUBE™. The CUBE™ shifts the paradigm on cooling wine rooms and provides an enhanced level of comfort for serious wine collectors. It uses constantly circulating water to manage the climate in the wine room instead of the stop & start compressors used in traditional refrigeration systems. This circulating system has a serious advantage over the coprocessors, as it allows users to maintain a more consistent, stable temperatures. The team behind the development of the CUBE™ are engineers from the medical devices industry in Montreal. 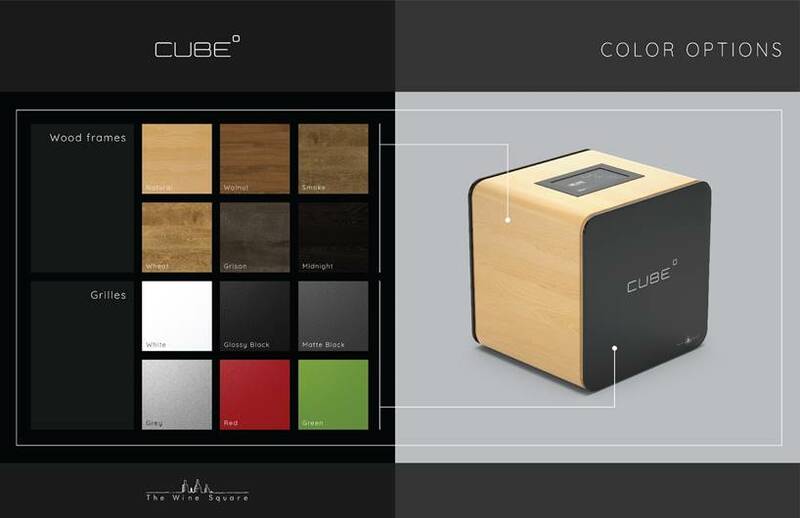 They started developing the CUBE™ in 2015 and have installations throughout Canada and recently started marketing in the US. “The CUBE™ intrigued me as soon as I saw the details. Its technology and design are a game changer for serious wine collectors. I am fortunate to be able to offer it to my clients,” says Lunstroth. NCV Custom Wine Rooms was the first company in Texas to offer the CUBE™ technology to clients. In addition to its superior cooling features, The CUBE™ has a number of other appealing advantages over its competitors. It is very quiet; it is easy to repair on-site so less potential down-time; the control unit can be accessed remotely for diagnostics, and the standard five-year warranty can be upgraded to ten years. It is also compact and stylish. Established in 2015, The Wine Square is a Canada-based company that develops and manufactures technological solutions for wine maturing. Frustrated of being unable to find a custom wine room that could ensure appropriate wine aging conditions within a glass cellar, one that could be sustainable, reliable and efficient, we decided to invent it.